Albert was very grumpy on this particularly bright Sunday afternoon; of course, Albert was grumpy most days but this day was especially grim. 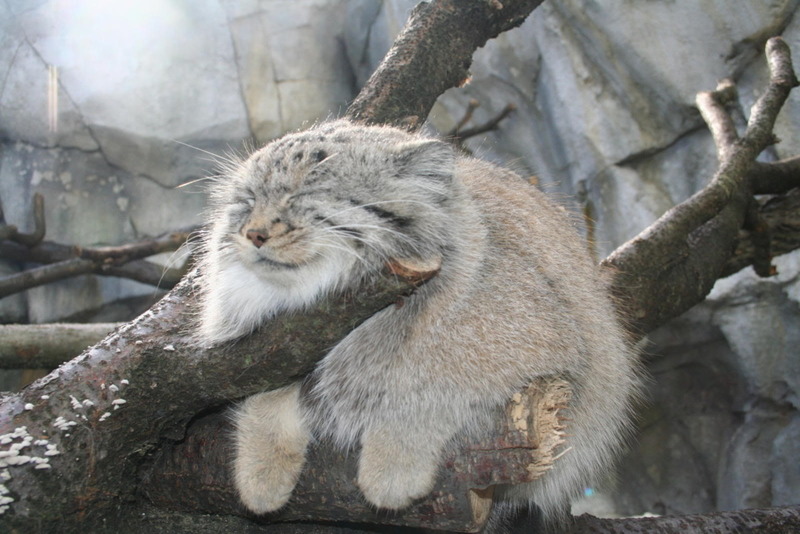 Victoria, the other Pallas’s Cat at the English zoo, was always banging on about how he ought to “cheer up” because “the weather is so much lovelier here, isn’t it, Al?” Then she’d usually swat at him lazily from her favorite perching branch. Both Albert and Victoria had come to the Zoo as kittens from Sweden, and though Albert was sure Victoria could remember nothing of that snowy land, she loved to claim the English summers were “delightful.” Albert wholeheartedly disagreed. After taking one patrol around their yard, Albert had already worked up a sweat. This heat! He exclaimed to Victoria who wasn’t listening; she hadn’t woken up yet. It bothered Albert that Victoria had no respect for protocol. 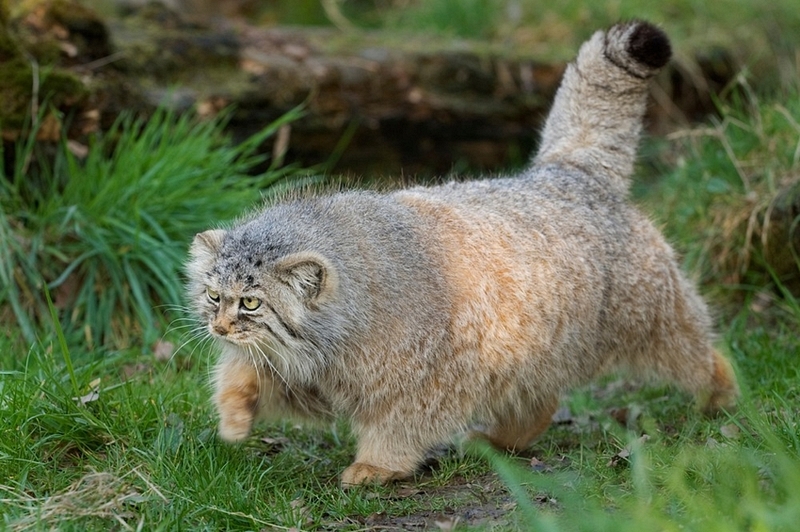 Grumbling to himself, Albert continued his outside march, his long, thick insulating grey and white hairs dragging on grass beneath his belly. The first Human had just arrived at the neighboring home for Breakfast. Albert trotted over to his fence and purred loudly. He took great pride in his appearance and knew his coat would be glistening in the early morning sun. He opened his yellow eyes as big as they could get, his stomach grumbling. 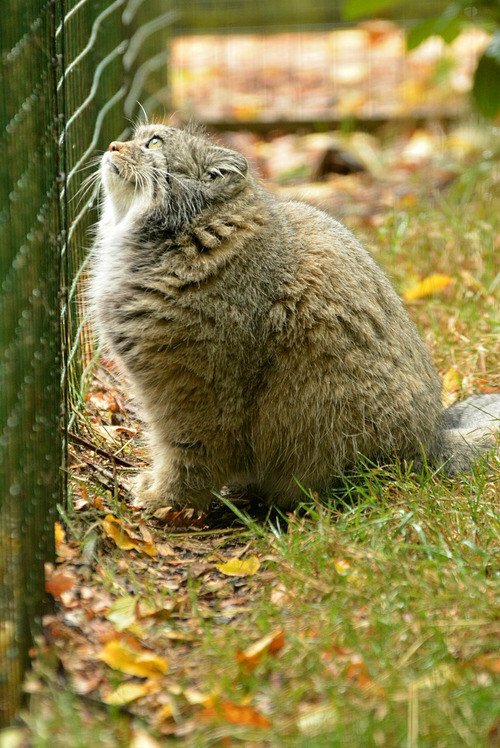 The Human turned around after giving the Asiatic Wildcat his pill and saw the small, extremely fluffy Albert peering up at her. She grinned and put her tongs into her tupperware of meatballs. She wasn’t supposed to give Albert any extras but she couldn’t help it. He rubbed his face against the chain-link fence like any house-cat and waited expectantly. Albert chewed gratefully while the Human tentatively scratched his head and murmured something like, “don’t worry about the boa constrictor – he’s back at home, safe and sound.” The meatball had been so delicious, Albert nearly forgot why he had been especially annoyed this morning! Albert had woke up in what was usually a midday or even afternoon grump, because he had barely gotten ten hours of sleep last night! Compared to his usual twelve and a half it was an outrage. The entire zoo – Victoria included – had been in an absolute panic the day before over an escaped boa constrictor. Albert had to admit, the story was quite thrilling. As far as he and Victoria could make out from the chatter amongst their neighbors and the gossiping local birds who frequented all parts of the Zoo, the Brazilian Boa Constrictor – Ché – had somehow escaped his enclosure! Albert had never thought of escape, he liked his home well enough, apart from the daily annoyances from Victoria or the squealing Human Cubs. Word from the bats, however, who live just adjacent to the reptile house, only a few enclosures away from Albert and Victoria, told the sparrows who told Nigel (the Asiatic Cat), who then told Albert, that Ché didn’t even try to escape. The glass on his tank simply disappeared and he slithered away, nipping the heels of Humans as he went! Moreover, the bats swear they heard a small Human Cub, with scraggily black fur and green eyes like a cat, speaking snake right before the incident. Of course, Albert didn’t believe this nonsense for a second. He certainly wasn’t on the last of his nine lives but Albert had seen enough to know Humans don’t speak any form of Animal – reptile or otherwise. Any word from a sparrow wasn’t to be trusted, he’d bet his morning meatball on it. Besides, bats were blind, how could they possibly know what the cub looked like? They were always trying to cause trouble. Nevertheless, the Humans were in an absolute uproar that Saturday. Albert had been snoozing on his perch, dreaming of the brisk and snowy winter that awaited them, when the same Human who fed him his meatball rushed into his yard and unceremoniously dumped he and Victoria into their indoor house. They both mewed and hissed loudly, Albert even swatting at the Human’s arm; the Human apologized while rushing out that it was for their own safety. Through the walls they could hear screaming and the trampling of feet. Victoria had pushed herself into a corner, tail tucked between her legs. Her eyes were large with fear but for once Albert was glad he wasn’t alone at the Zoo. Albert had hoped she didn’t notice him shake as he puffed himself up and flattened his round ears against his head, hissing and spitting at the glass until he felt it safe to curl up next to Victoria. It had been an extremely busy Saturday at the Zoo – probably due to the “nice weather” as Victoria liked to say, but Albert was getting tired of all the glass-tapping. He knew that he and Victoria were particular favorites at the Zoo. Almost every Human stopped and admired them with cooing sounds and Albert took his responsibility as a Favored Cat very seriously, usually making an effort to swish his tail whenever someone approached the glass. Sometimes, however, he found the celebrity overwhelming, and Saturday had been especially trying. As Albert sat that Sunday morning in a shady patch, licking whatever leftover meatball off his paws he could, he thought about the events from the day before. There had been so many Humans, and it’s so hard to tell them apart, but Albert wondered if the mysterious boy who could talk to snakes passed by his home. Victoria had joined Albert for breakfast but was now entertaining the first group of Humans by peaking at them from behind a branch. Thankful the Human enclave was distracted, Albert was able to concentrate. There was one boy, Albert thought, that fits the description. Albert thought he seemed pretty unremarkable, though, except for the simple fact that he didn’t seem to belong with his Troop. It was coming back to him now, the encounter with the Human Cub and his strange – very bothersome – Troop. Albert remembered distinctly that he was just finishing Lunch when a thin boy-human approached the glass of his house. 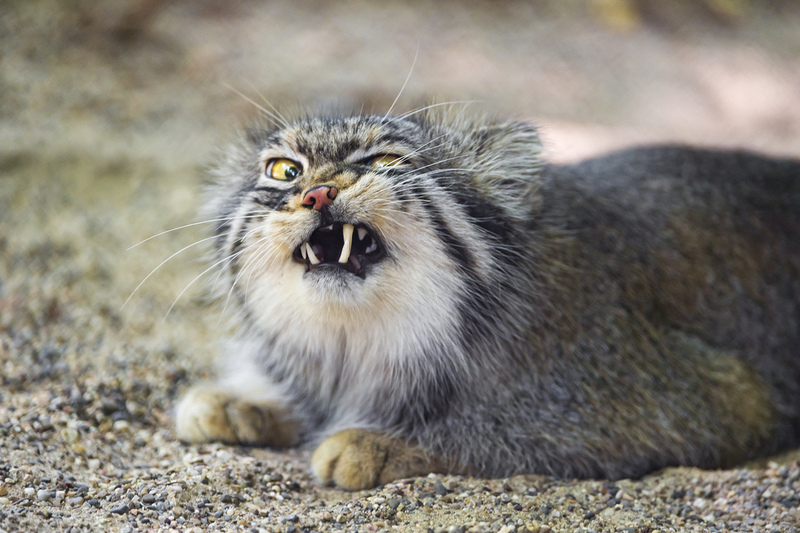 Albert had already developed a hearty grump by then – it was midday, after-all – and was simply trying to finish his lunch in peace. He had expected the boy to knock on the window for attention. Black fur in all directions on his head, the boy only stood there, watching. Now that he was thinking about it, the boy did have almost feline-like green eyes. Albert recalled distinctly because they had watched him for a while until an enormous human – twice the size as the Green-Eyed one – shrieked about being bored and rushed off into the direction of the Reptile House. Albert had given a hearty harumph! at the shrieking menace and had watched as the green eyes rolled in their head. Then the black-furred boy had given Albert a little wave, and then slowly followed a Flamingo-like woman and the largest Human Albert had ever seen, in the direction of the howler. Perhaps that was the Human cub who spoke to Ché before he escaped, Albert contemplated while giving himself a bath. Still, he thought it seemed unlikely. 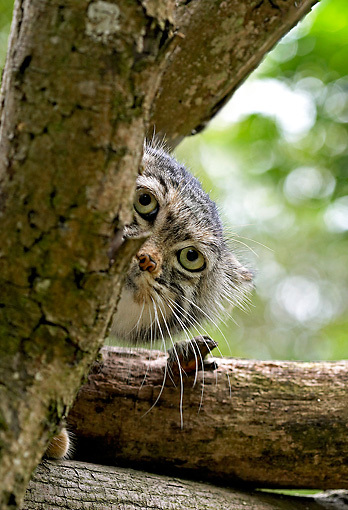 If any human were to take the time to learn an Animal language, surely it would be Cat. Interrupting Albert from his musings on Animal-Human languages, Victoria called to him that Reginald (a sparrow) had just arrived with “exciting news” because “Ché was caught! He’s back at home!” Annoyed at the prospect of having to cross the entire yard in the sun, however, Albert snarled a “no thank you!” and chose instead to drift off into a sweaty, but much welcomed, sleep. I want to adopt Albert!